As you know, I’m a sucker for unique lodging (remember the time I found a fairy hut and almost froze to death in the Swedish Woods)? 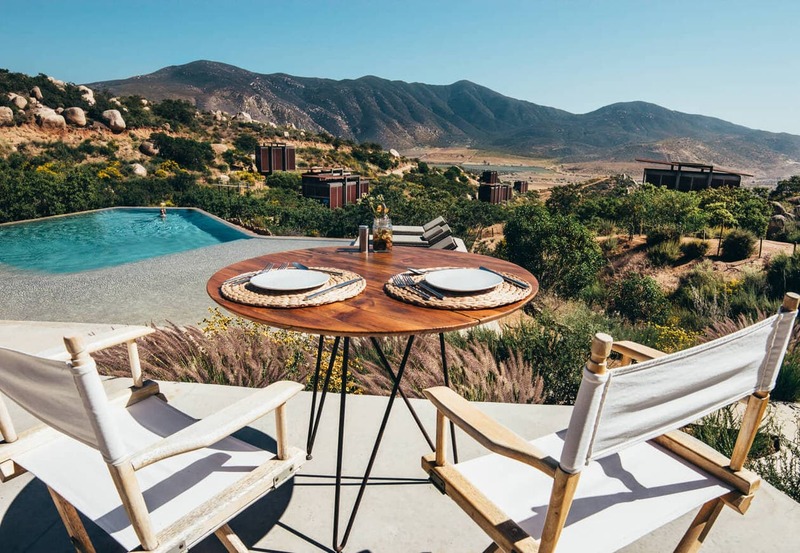 Earlier this year a group of friends and I made the short drive down to Ensenada for a wedding in Valle de Guadalupe, and I discovered these cool eco lofts at Encuentro Guadalupe. 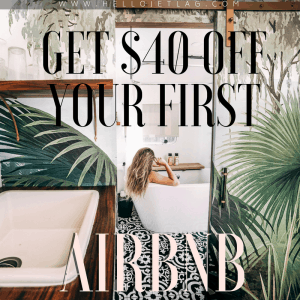 Unfortunately, the lofts weren’t ideal for a group, so we ended up staying in an Airbnb this time around. 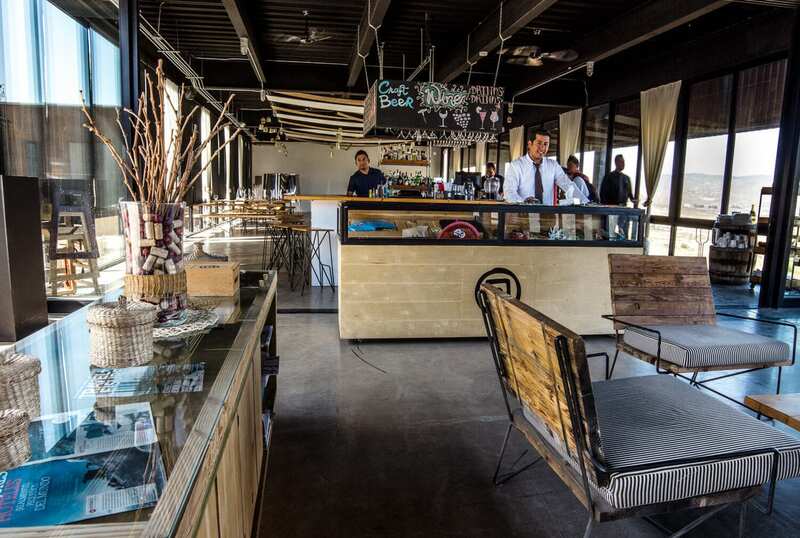 However, we still stopped by for a glass of wine because I needed to check out these lofts. 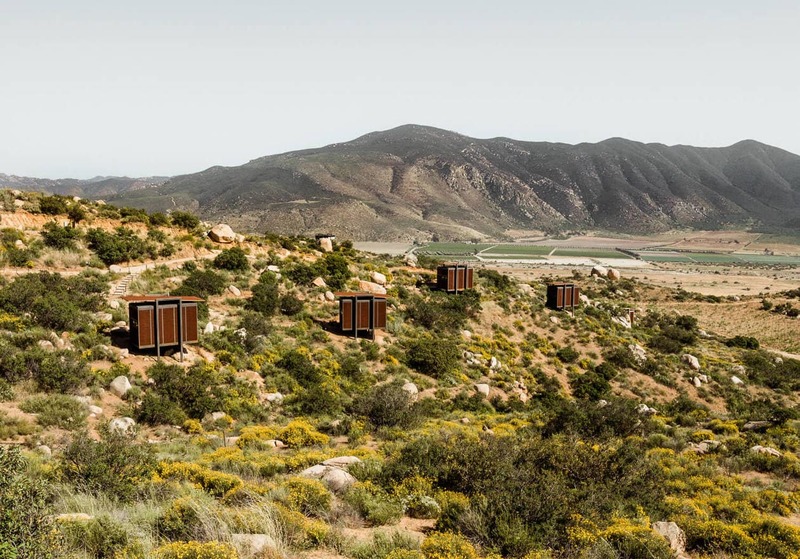 On the north end of the Valle de Guadalupe wine route, 22 eco lofts sit perched on a hill. 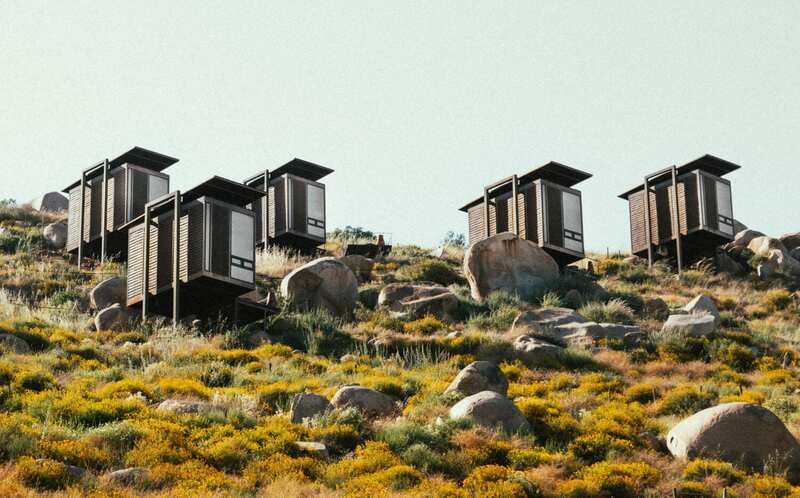 Architect Jorge Gracia designed the lofts to suspend out on the hill as not to disrupt the natural landscape; and from a distance, they look almost extraterrestrial. 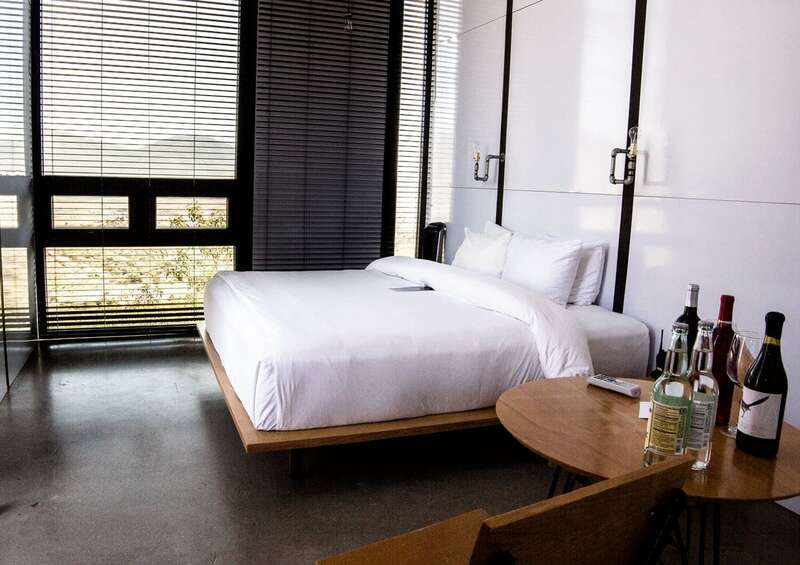 The hotel wants to inspire people to be one with nature, so Encuentro Guadalupe’s eco lofts are small (20 meters x 20 meters) and contain only the basic necessities. 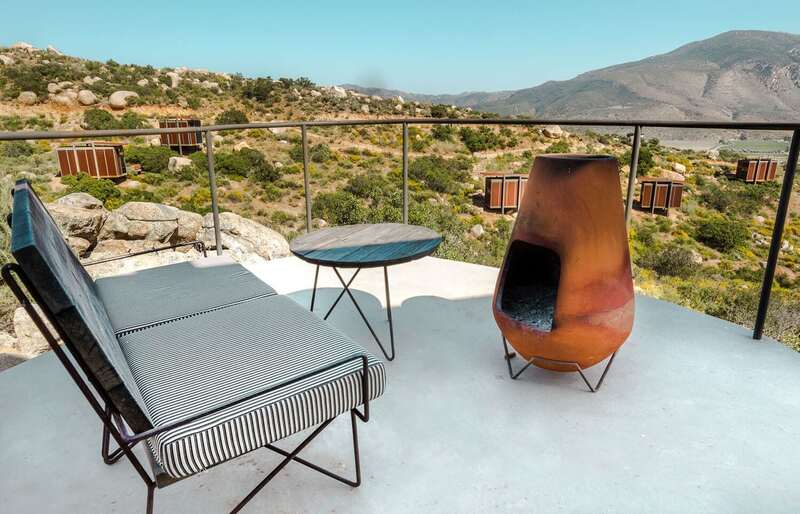 You will also notice that there are no TV’s in the room but instead, a terrace to watch the view and the stars. While the rooms are simple, they still have wifi, room service and all of the expected amenities. 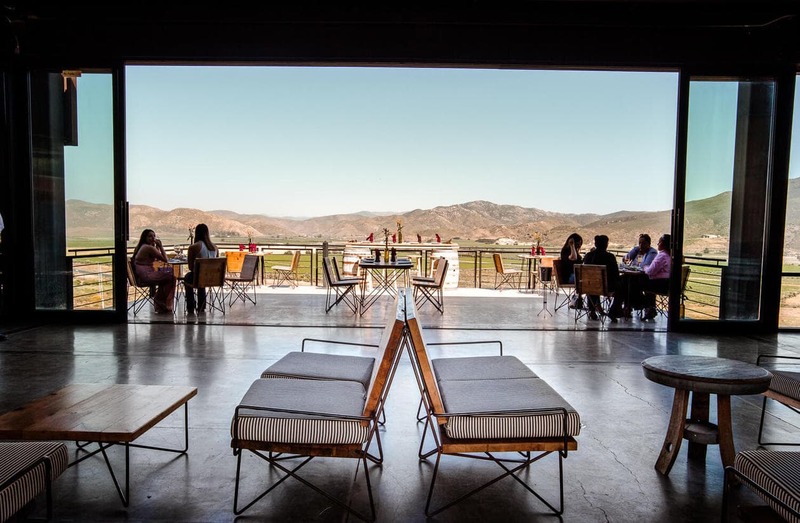 Guests of Encuentro Guadalupe also have access to their private pool and bar, located on the hill near the lofts. And speaking of the hill.. 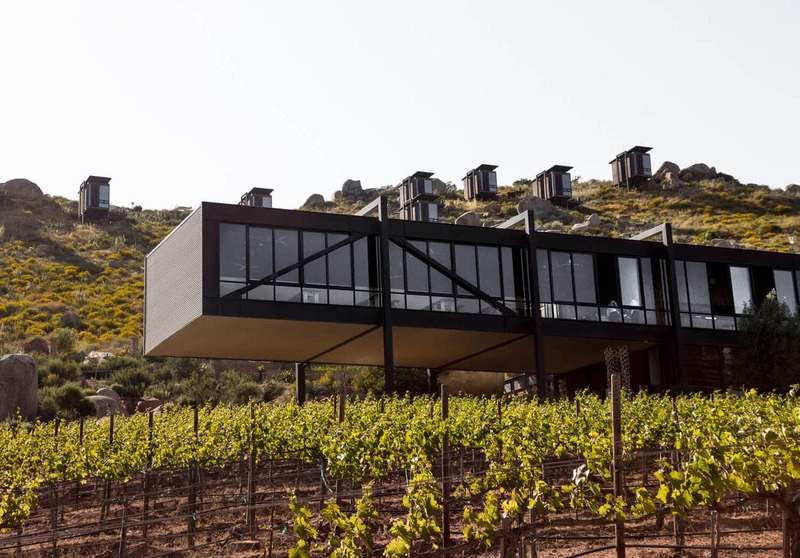 The eco lofts sit above the winery and restaurant and they are only accessible via hotel shuttle. Since there are no phones in the rooms, guests are given a walkie talkie to communicate with the front desk, and whenever you need a shuttle, they’ll send one up for you. Fun Fact: Every room in Encuentro Guadalupe is decorated in white except for #13, which is all black. 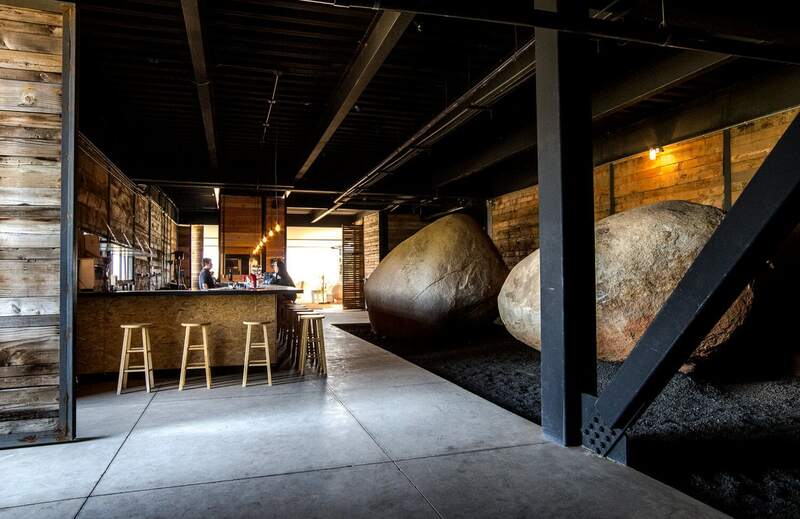 If you’re not a guest at the hotel you unfortunately cannot visit the lofts, but you can still check out their winery and restaurant. Encuentro Guadalupe has their own garden and many of the dishes on the menu are either grown on site or sourced from local farms. We had lunch plans at a different winery so we didn’t get to try the food, but we did do a wine tasting. During the tasting we had lively chat we had with the head wine maker (who was also pouring). He seemed to have stumbled upon wine making after realizing that he had an excess of grapes. 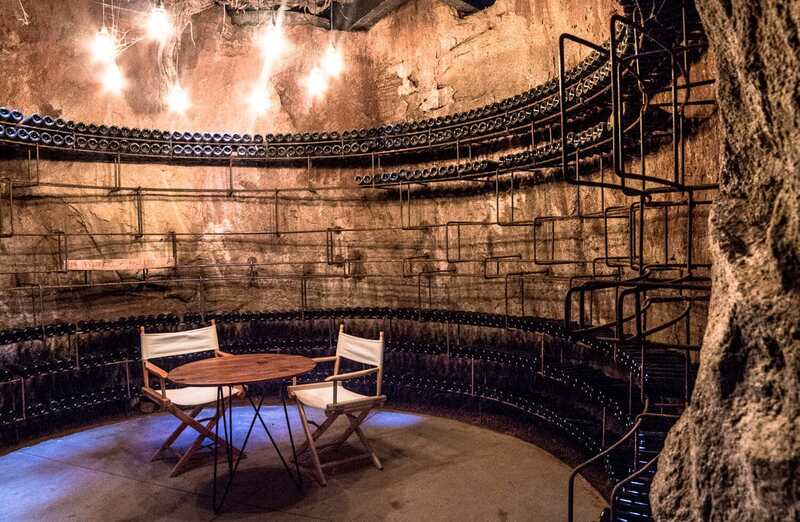 He told us stories about his trial and error days (5 years ago), when he didn’t know how to keep the wine cool so he wrapped hoses filled with dry ice around the tanks. Nick and I have wine tasted all over the world (is this the most douchey sentence I’ve ever typed?) and this was the most relaxed tasting ever – no fancy lingo, no rules. Disclaimer: This is not a sponsored post. Some of the links are affiliate links which means if you make a purchase, I receive a small commission (at no added cost to you), which helps me to maintain my site 🙂 Thank you for your support!